Though it may go without saying, bleach is one of the strongest household chemicals that there is. Most of us think of bleach simply as a way to get stains out of clothes, without thinking about how else it could be put to use around the home. Fortunately, we scoured the internet for all kinds of tips and tricks to help you get the most out of your bleach products. With no further ado, here are 60 different ways that you can use bleach around your home. 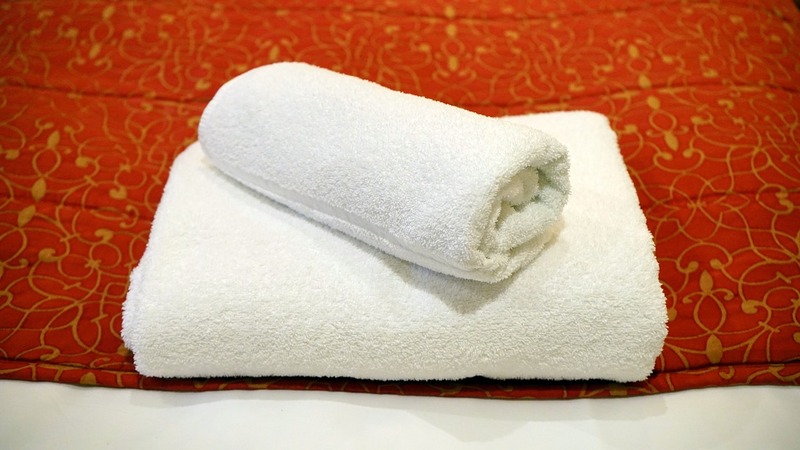 Although we often throw our towels in with our other laundry and wash it all with detergent, this may not always be enough to get our towels as clean as we’d like. If you’ve gone a little while without washing your towels and you feel like they might be a little mildewy, wash them in their own load and use a little bit of bleach instead (for white towels). When they come out, they’ll be good as new. 2. 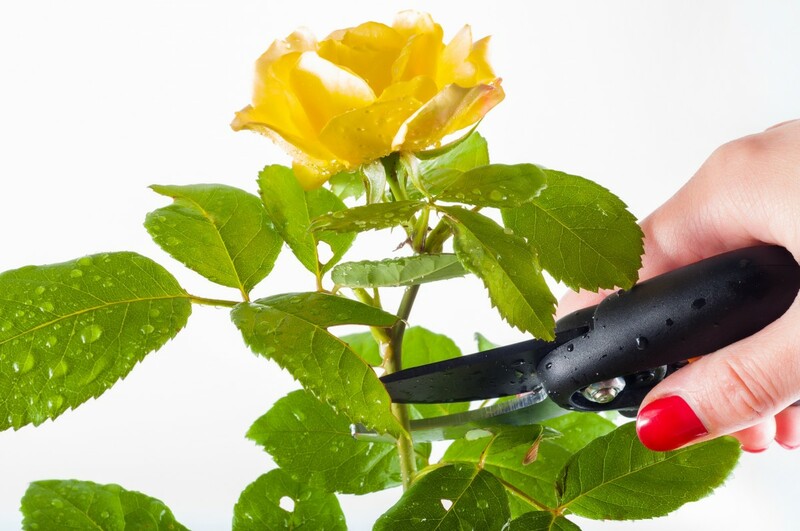 Make your cut flowers last longer. 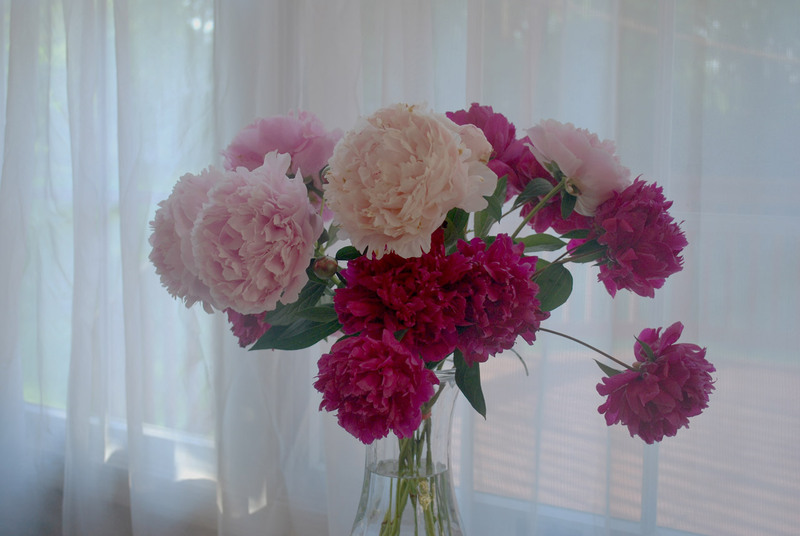 Keeping fresh cut flowers around your home always brightens the place up. Still, sometimes our flowers can wilt a lot faster than we want them to. To prevent this, try adding a couple drops of bleach to the water that you keep them in. The bleach will sterilize the water and keep everything fresher for longer. Who knew! 3. 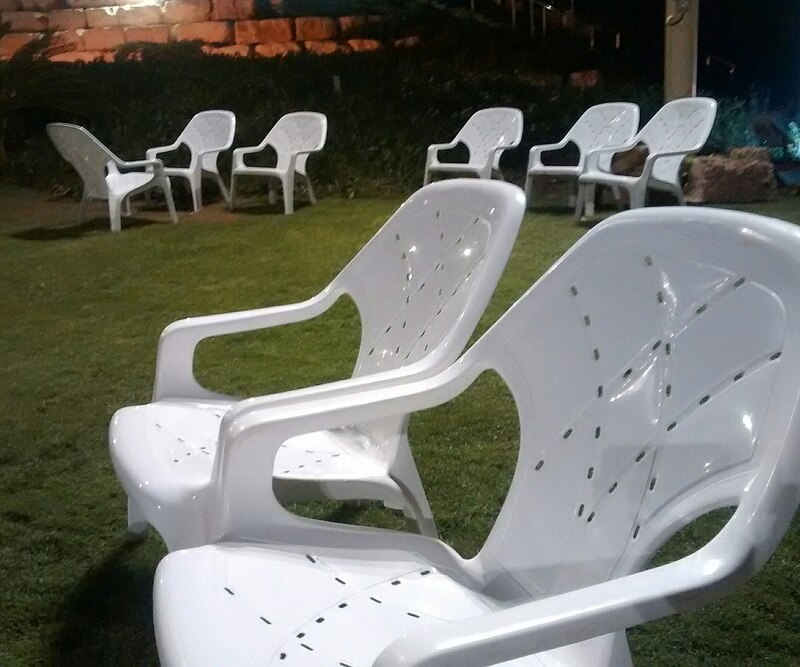 Use bleach to polish up plastic lawn furniture. As you may have experienced firsthand, any plastic furniture that you leave outside will start to get grimy and even mildewy after a while. Fortunately, there’s an easy way to reverse that wear and tear. All you have to do is mix a solution of bleach and hot water and scrub the furniture down. It should take all the grime off leaving only that bright white plastic color behind. 4. 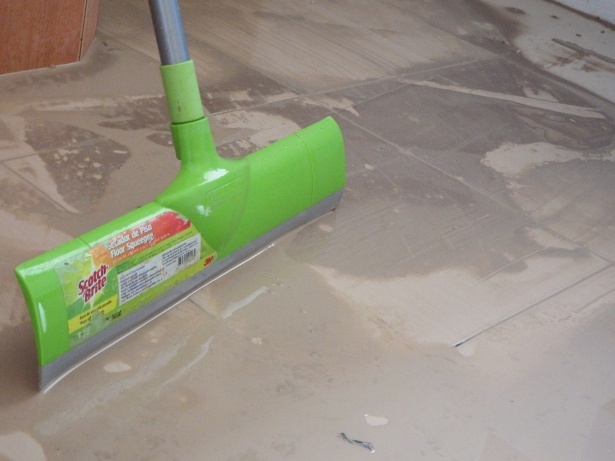 Use bleach to disinfect tile grout. 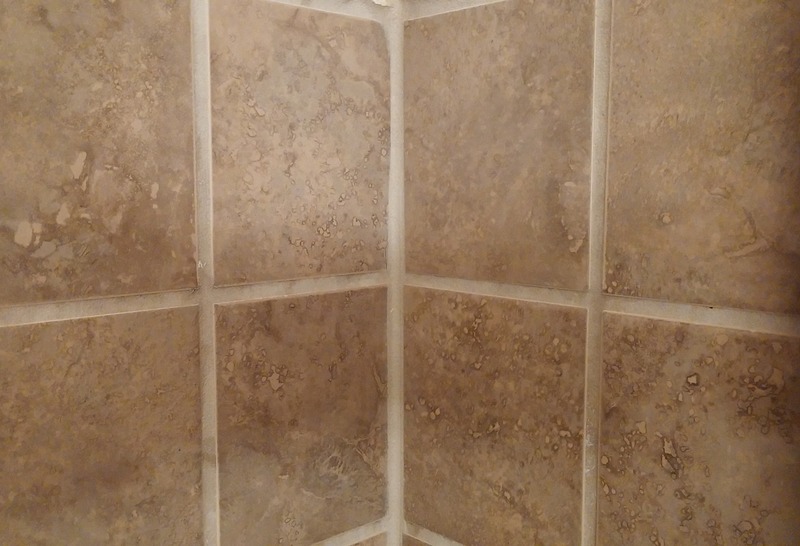 Grout is one of the hardest things to get looking clean and new again. As it turns out, you can use bleach to accomplish this to great effect. To do this, mix about 3/4 cup of bleach with a gallon of hot water. After that, pour it on the affected areas and use an old toothbrush to scrub out the grime. 5. Use bleach to clean out garbage cans. 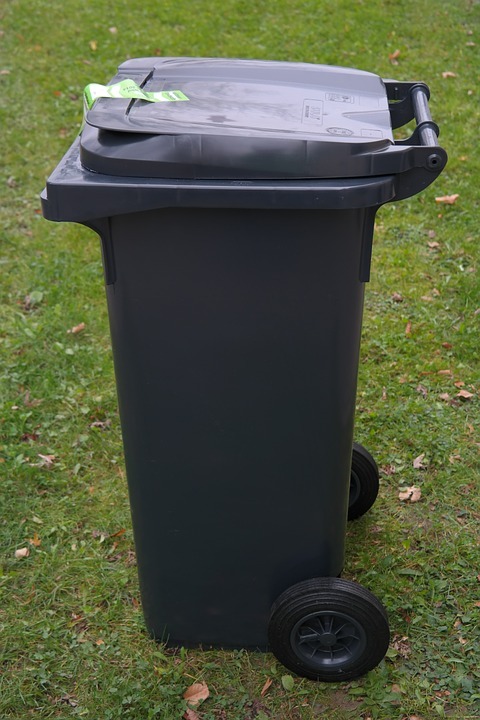 Although we do our best to keep our garbage cans from getting too gross inside, it’s inevitable that some of the trash or fluids make it into the can instead of the bag. Because cleaning the cans themselves out is pretty disgusting, we can use all the help we can get. All you have to do is make a bleach solution, pour it in the can and let it sit for about an hour. When it’s all done, blast it out with a hose and you should be good as new. 6. Use bleach to brighten up your dishes. While bleach is a powerful chemical that you should be careful with (particularly around your food), it actually works wonders for brightening up your old dishes. All you have to do is make a bleach and water solution and try scrubbing down your plates with it. When all is said and done, those dishes should sparkle like never before. 7. 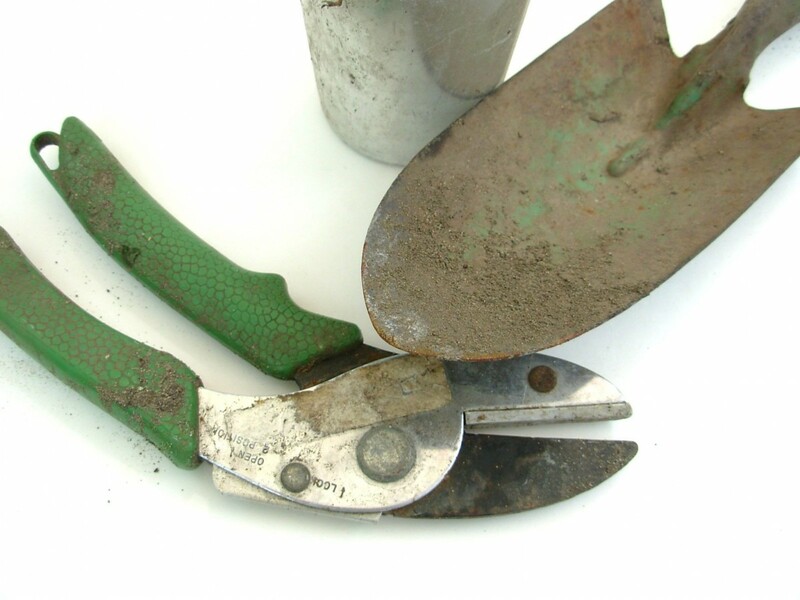 Disinfect and rust-proof your garden tools. 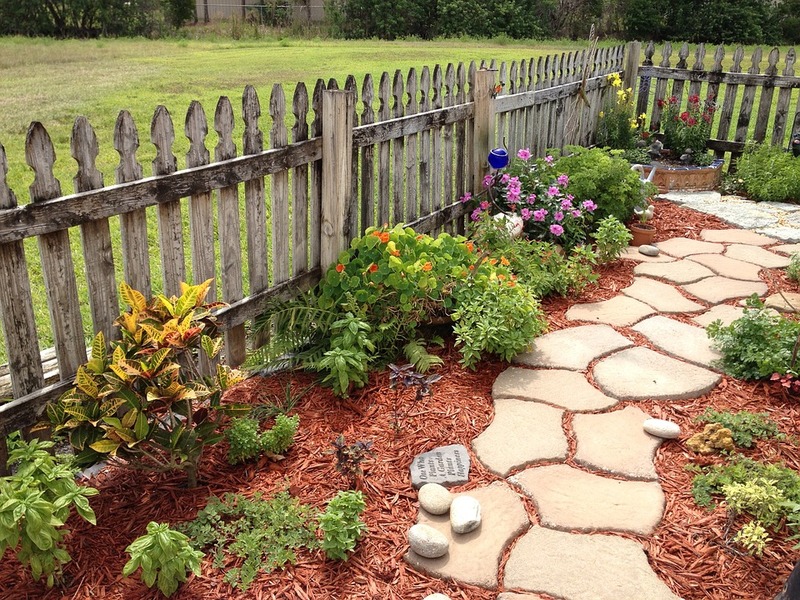 If you have a green thumb, you probably use your garden tools quite a lot. Still, with a lot of us they can get pretty dirty or even rusty. Fortunately, soaking them in a simple bleach solution will make them easier to clean and should even provide some rust protection as well! 8. 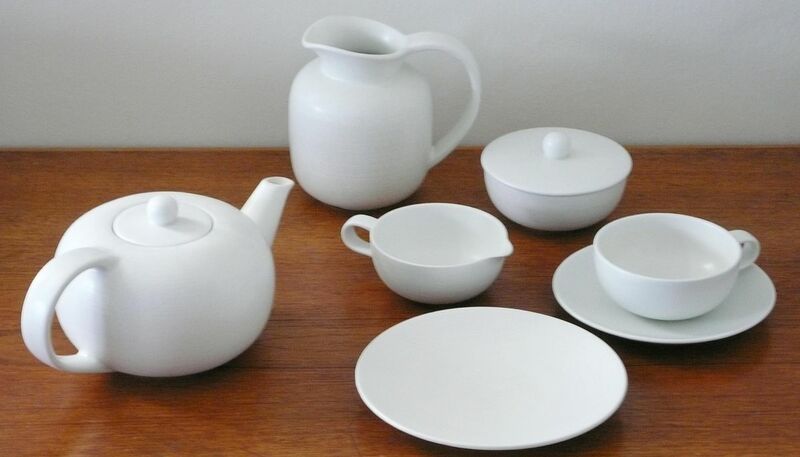 Polish up any white porcelain surfaces. 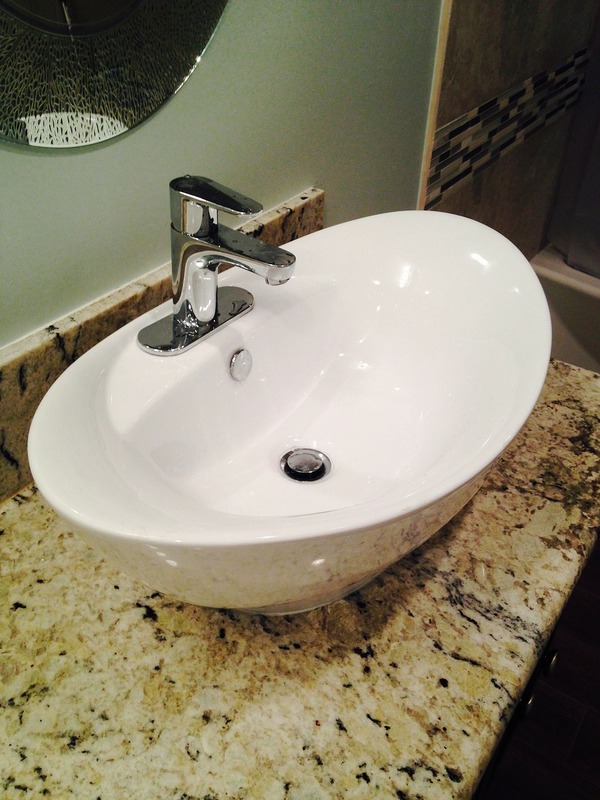 Depending on your home, you may have a lot of old fixtures in it made out of white porcelain. Although there are plenty of ways to clean things like this, using bleach is a great way to shine things up! To do this, begin by scrubbing all the basic dirt and grime off of the sink or whatever other surface you’re cleaning. After that, clean it with bleach. At the end, use some bar keeper’s friend to really give it some extra shine and you’re done! 9. Use it to treat smelly feet or foot fungus. Although bleach can be a bit of an irritant to human skin in some cases, it can be good to use to get rid of bad foot odor or foot fungus. To do this, simply mix 1/4 cup of bleach with a gallon of hot water and put it all in a foot bath or other container. Soak your feet in it for five minutes before rinsing them off. Still, don’t do this method if you have any open cuts or wounds on your feet! 10. Kill weeds with bleach. 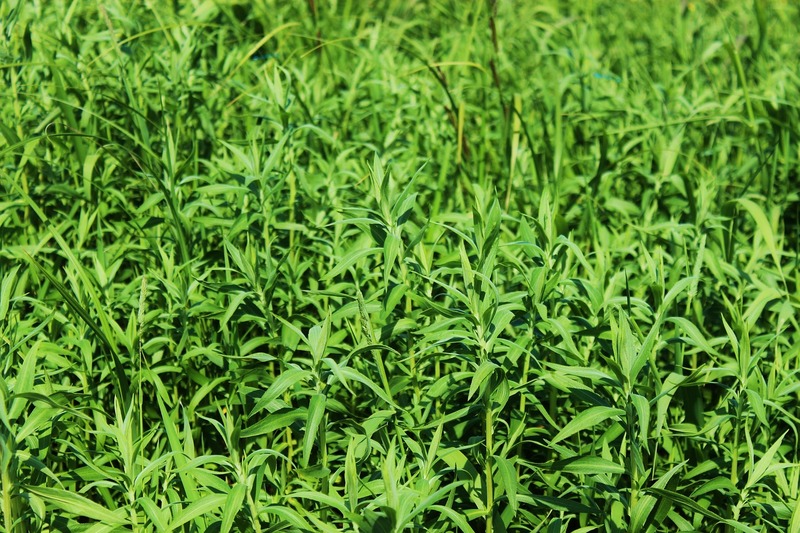 If you want to keep a garden looking neat and tidy, you’re going to have to stay on top of your weeds. Although we don’t recommend going overboard with this tip, you can always make a light bleach and water solution and spray it onto particularly dense thickets of weeds. Though it’ll definitely kill them off, be careful if you’re doing this in areas with plants you really care about. 11. Use bleach to get rid of mold and mildew. More generally speaking, bleach is your best friend when it comes to getting rid of rot and mildew. Needless to say, having that kind of stuff around your house is definitely not good for your health. To combat that, mix a solution of half bleach and half hot water and scrub your problem areas with a rough bristle brush. 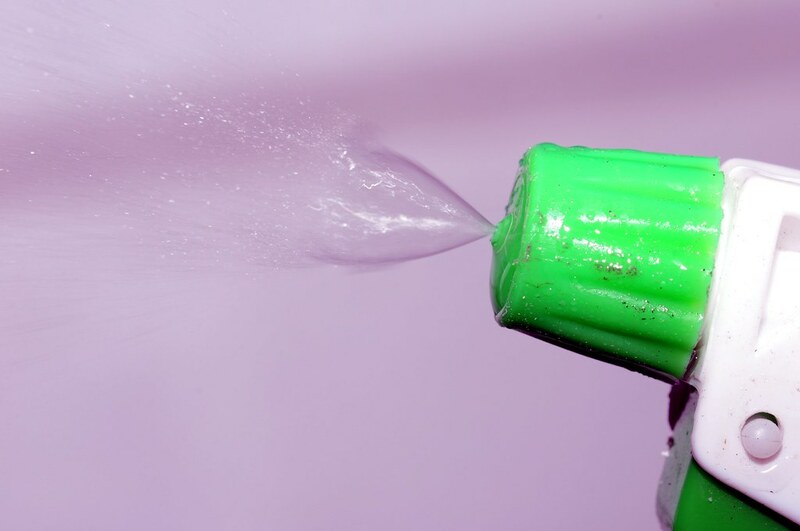 Rinse when you’re done and those surfaces should be back to normal in no time. 12. 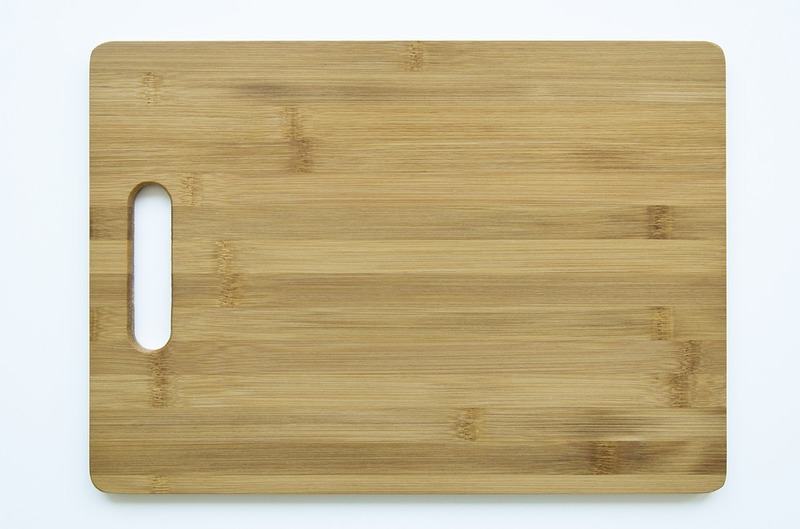 Disinfect wooden cutting boards. Although we can wipe down some of our thicker cutting boards after using them, there’s always that sense that we’re not really getting them all the way clean. To fix this, mix a few teaspoons of bleach into some hot water and scrub the surface of the board with a rough brush. Make sure you rinse and rinse before you use the board again, but this should definitely do the trick. 13. Use it as a mosquito repellent. If you’re one of those unlucky few whom mosquitoes love to snack on, this tip should be a lifesaver for you. The next time you’re going outside or sitting on a patio, simply mix equal parts of bleach and water and leave it in a cap or a shallow bowl on the table. 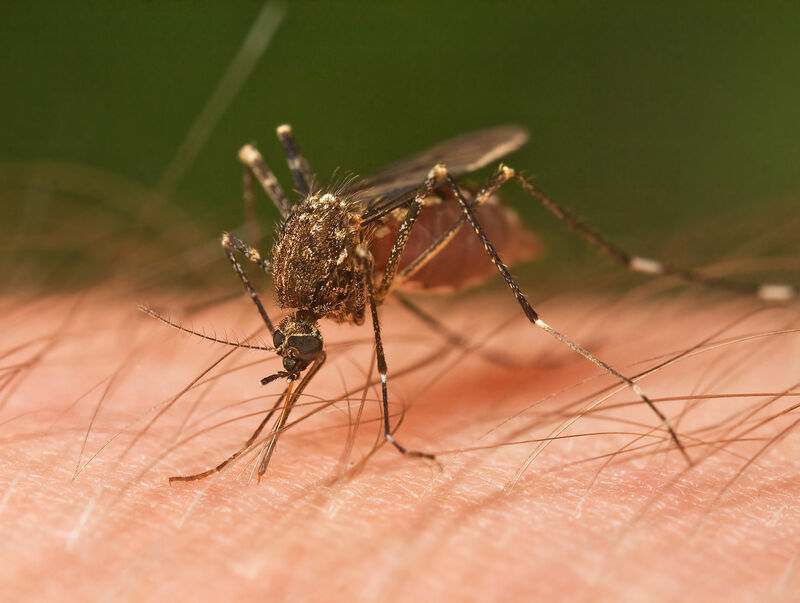 The fumes in the air should be strong enough to keep any mosquitoes or other pests well away from you. 14. Use it to sanitize your floors. This one is pretty straightforward but it’s still worth mentioning. Although floor cleaning chemicals can usually do the trick for a basic clean, if you switch the solution up for one with bleach in it every couple weeks or so, your floors will sparkle and the air around you will be cleaner. 15. Remove hard-to-clean tea and coffee stains from cups and mugs. 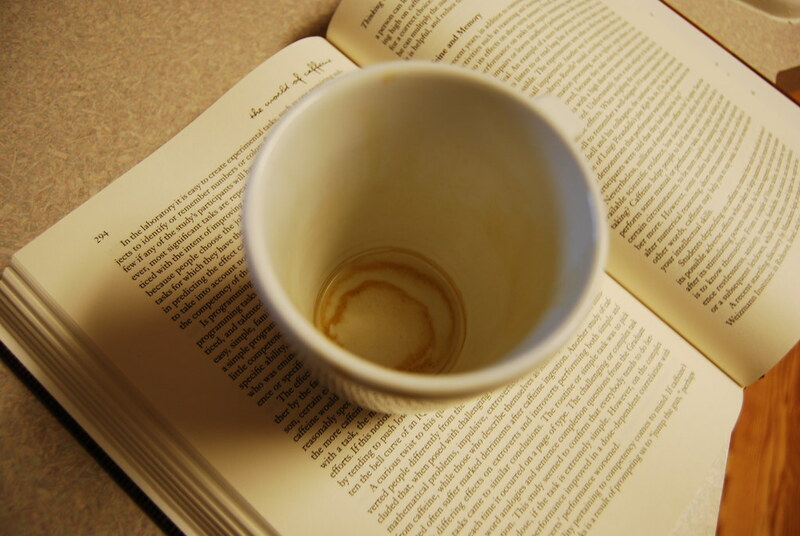 If you’ve been using a certain coffee cup or mug for a long time, it’s bound to get some rings around it that just won’t yield to normal soap or scrubbing. In those cases, try mixing a little bit of bleach into hot water and pouring it all into a basin. Soak your cups or mugs in it for about an hour before trying to clean them out again. Be sure to rinse thoroughly, but this is almost sure to do the trick. 16. 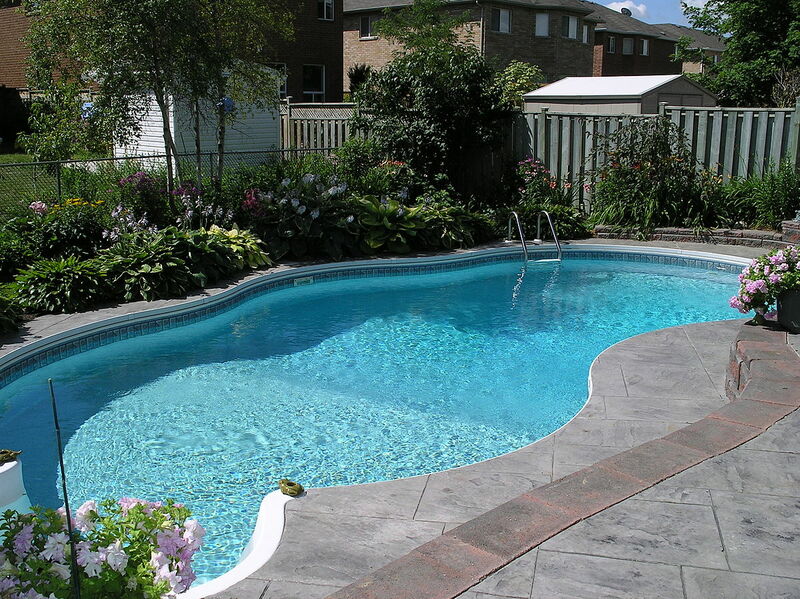 Use bleach to sanitize your swimming pool. Even though our swimming pools usually have their own filtration systems and chlorine in the water, sometimes they can wear down. In these cases, the water starts to look a little green or cloudy. To clear this right up, try using a little bit of bleach to shock the pool water into cleaning itself again. Still, if you’re going to do this, be sure to check the pH and the cyanuric acid levels first—get the full instructions on this one here. 17. 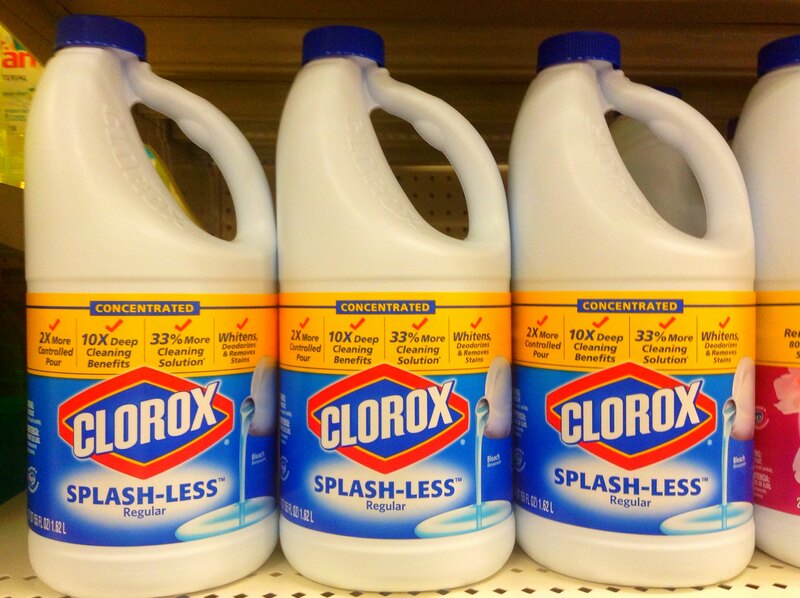 Use bleach to whiten up your clothes. Ok, so most of us probably know this trick already—still, it’s important enough of a use that we still have to mention it. 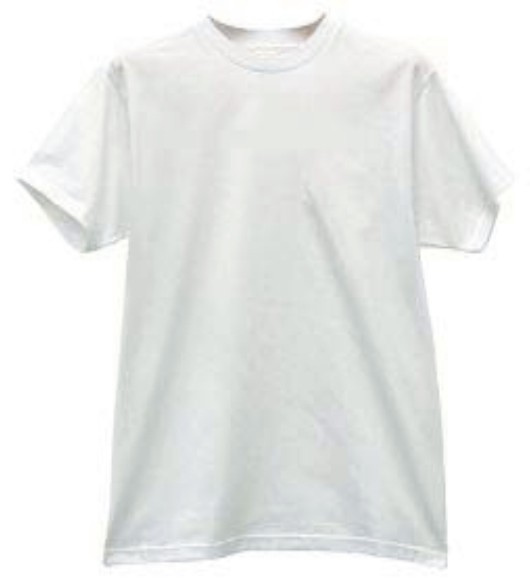 If you have some white shirts that are a little less white than usual, add a little bit of bleach to your washing machine next time you do a load of whites. When they come out, they should be looking as good as new. 18. 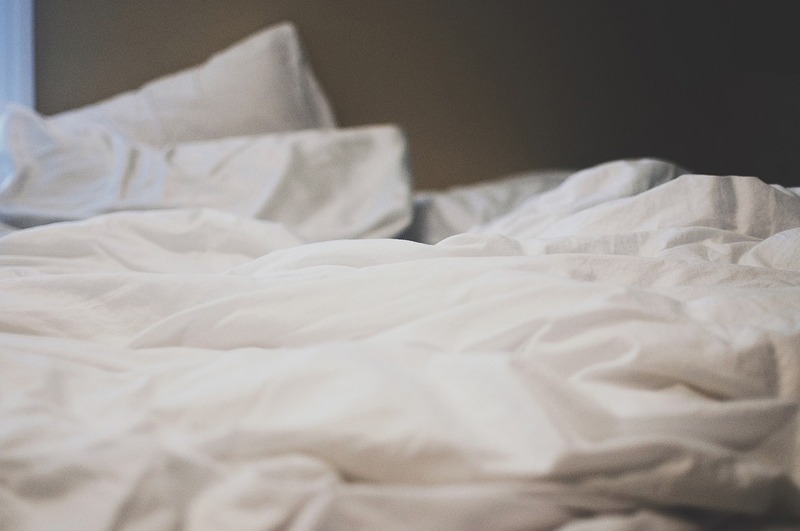 Take stains out of bed sheets. If you accidentally spilled food on your bed sheets or whatever else, don’t fret—bleach can be your best friend in cases like this one. Just like with the white shirts, all you have to do is soak the particularly stained parts of the sheets in a bleach solution before running them through the laundry. When they come out, the stains should be gone. 19. Use it to clean up your shower curtains. 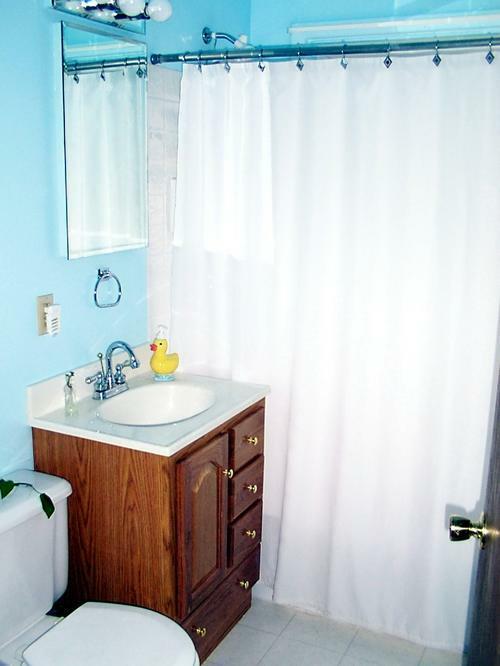 If you don’t regularly clean your shower curtains, they can get mildewy and gross in no time flat. Whether we’re talking about vinyl or cloth curtains, all you have to do is soak them in a bleach and hot water solution for a few hours before washing them as you normally would. When they come out, they should be good to go. 20. Use bleach to sterilize your plant trimmings. If you’re serious about your gardening, you already know that you can make little trimmings off of your plants to help propagate them in other pots or other parts of the garden. What you might not know is that you can accidentally spread plant-borne diseases if you don’t clean the trimmings first! To do this, dip your plant trimmings in a heavily diluted bleach solution, wiping and rinsing them off afterwards. If you move quickly, these should kill any germs and viruses hanging around without hurting the plant itself. 21. Use bleach to disinfect your plant pots. 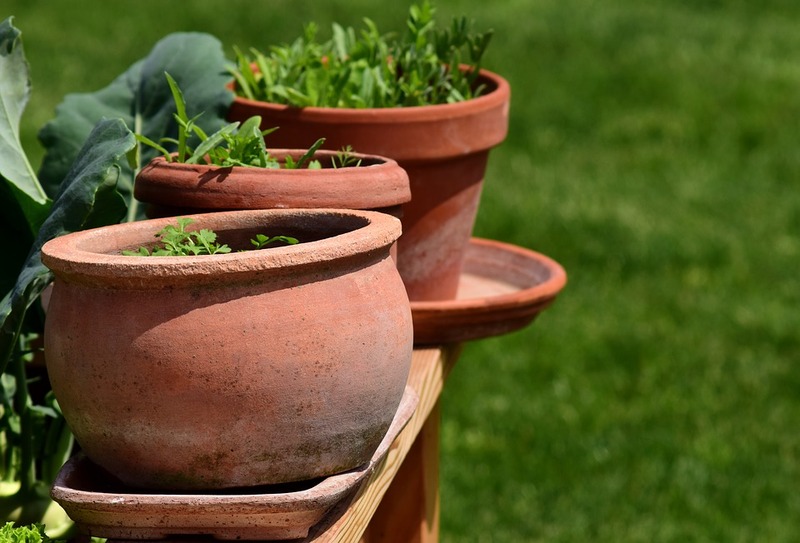 If you’re done with a potted plant and want to reuse its container, you’re going to need to clean it out first. Still, those pots can get pretty grimy and crusty after having a plant in them for years. To clean them out easily and to kill any germs in the process, try rinsing them out first and then soaking them in a light bleach solution. Rinse again after you’re done but this should make your pots as good as new. 22. 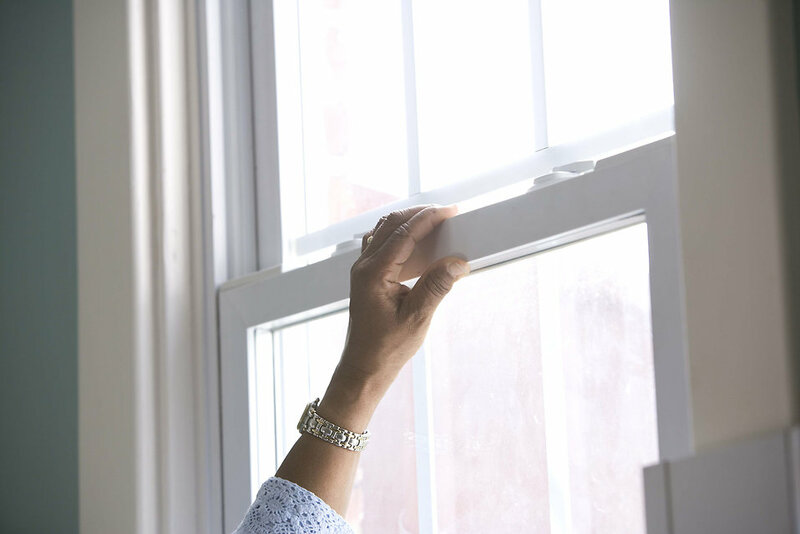 Use bleach to make your windows shine. While Windex and other chemicals can be used to polish windows up, you don’t always have to buy one of those products specifically. Instead, make a simple diluted bleach solution and wipe your windows down like you usually would. We guarantee they’ll shine better than they’ve ever shined before. 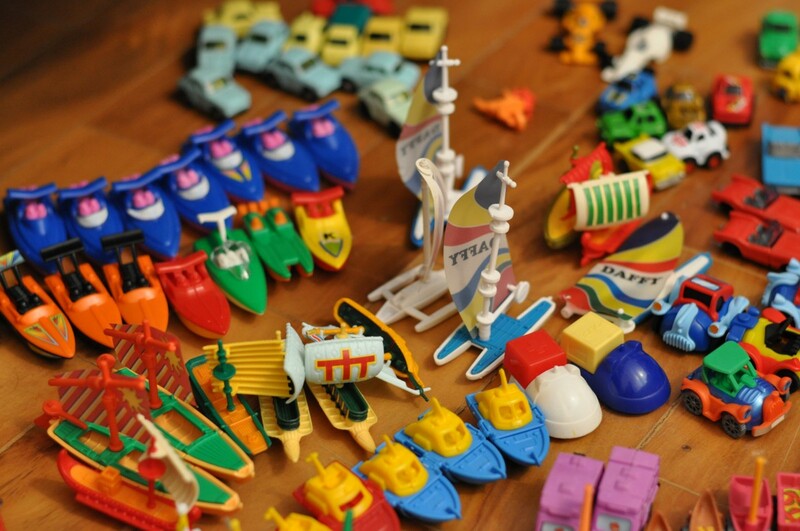 Although it’s nice to buy some secondhand toys for your kids to play with every once in a while, they’re not always the cleanest when you first get them. That applies double when it comes to plastic toys! To fight against this, try dunking them in a simple bleach solution for a few minutes to disinfect them. Rinse well and dry when you’re done and you’ll be good to go. 24. Clean especially dirty drinking water. 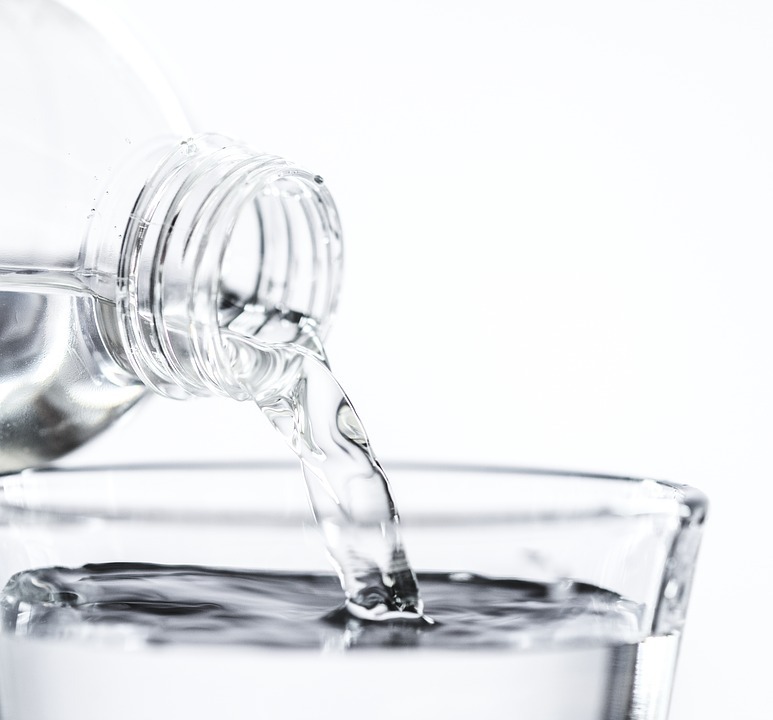 If you’ve done much traveling, you probably have been in situations where you were unsure just how safe the drinking water was. Though this tip is not for the faint of heart, you can sometimes use a tiny amount of bleach to sterilize otherwise undrinkable water. The ratio in these cases is about half a tablespoon of bleach to four gallons of water. 25. 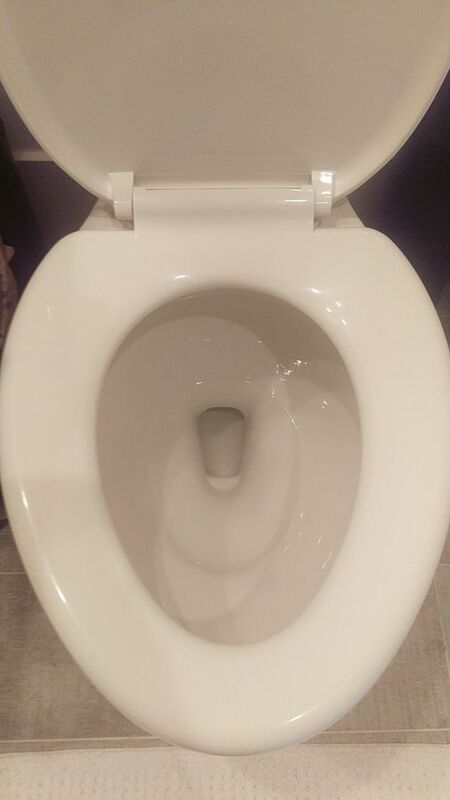 Use bleach to clean out a toilet bowl. Cleaning out a toilet requires a little more cleaning firepower than average. Though it goes without saying, bleach is particularly well-suited to hard tasks like these. To make things easy on yourself, pour a little bit of bleach in the toilet and let it sit overnight. In the morning, scrub the toilet out and it will be both clean and sanitized. 26. 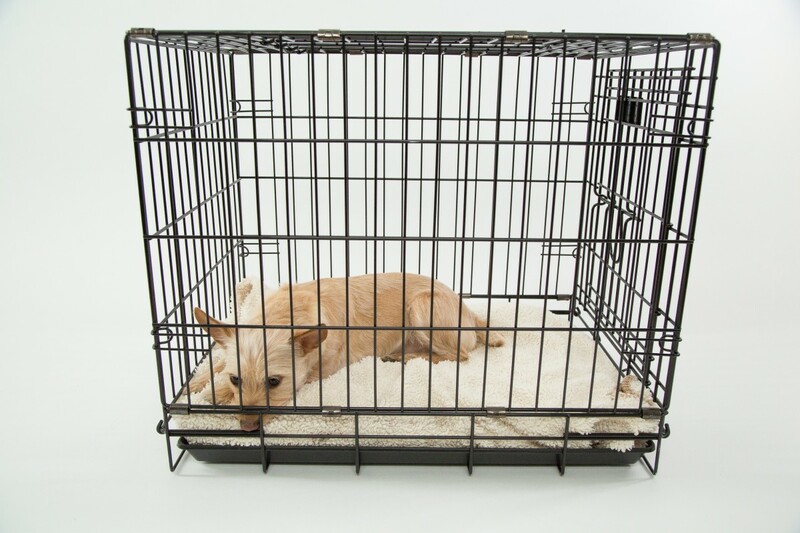 Use bleach to disinfect dog crates. Anything that gets used a lot and develops a strong odor is a good contender for cleaning with bleach. As it turns out, dog crates are one of the things that fit perfectly into this category. Like some of the other examples, all you have to do is mix some bleach with some hot water, rinse thoroughly and then blast it all out with water. When you’re done, the crate should be as good as new. 27. Clear out moss and algae on garden paths. Just like we mentioned earlier with weeds, you can use a simple bleach solution to thoroughly clean out your garden paths. To do this, simply make a bleach and water solution and spray or scrub it into any of your problem areas. In no time at all, your walkways should be completely clear. 28. Use bleach to kill any airborne viruses. Because bleach is so strong, we obviously don’t recommend doing this one all the time. Still, if you have a family member around in your house who’s sick or contagious, using a bleach and water solution in the air is sure to wipe out any germs or viruses that are flying around. Though you don’t want to do this over colored carpet, a simple water and bleach solution should do the trick—add some essential oils to make the place smell nice, too! 29. Use a bottle of bleach as a boat anchor. If you have a pond or a lake in your backyard with a rowboat in it, you may sometimes want to take it out on the water and get out of the boat… without it floating away. While it doesn’t make sense to carry around an actual anchor for a smaller boat, you can always use a heavy bottle of bleach on a rope to keep yourself in place. Just make sure you don’t puncture it and keep the lid on tight! 30. Use a little bleach to detail the inside of your car. Though you don’t want to overdo it, you can use a little bit of bleach solution to make sure the inside of your car is completely spick and span. To do this, simply mix together a solution of half water, half bleach and spray it lightly around your car. Use a toothbrush or other small scrubber to work it around. Wipe everything down when you’re done and you’re good to go. 31. Use it to disinfect tables and surfaces. 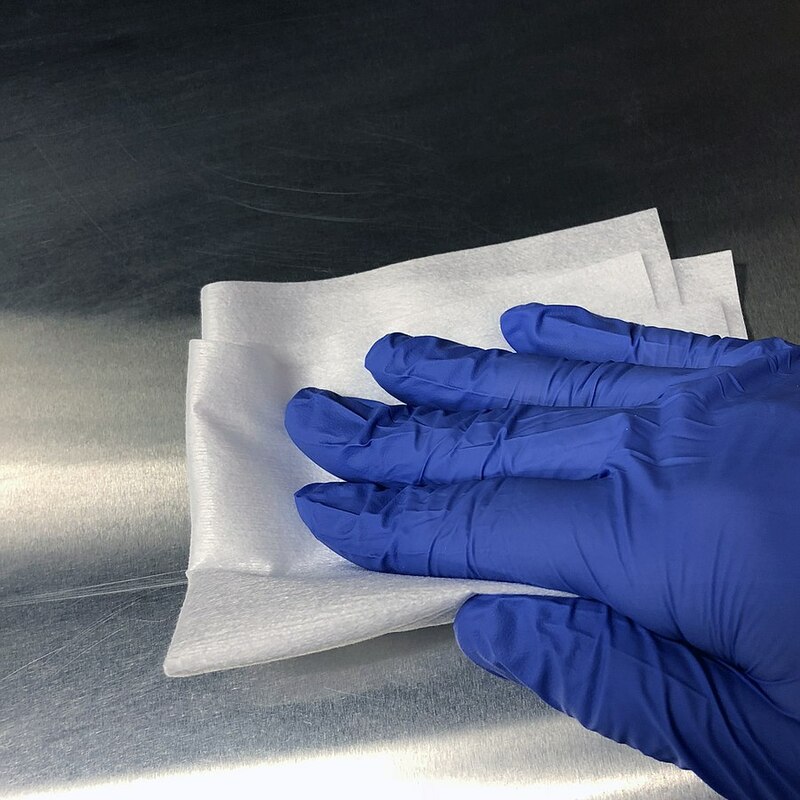 While wiping down your surfaces with a sponge or a rag works in the short-term, sometimes you need something a little heavier to get those lingering germs off. In these cases, try using a light bleach solution like we’ve described above and wipe down with a paper towel. Your surfaces will be cleaner than they’ve ever been before. 32. Use bleach pens or other bleach products to stain your shirts. Though you usually don’t want to stain your shirts with bleach, you can sometimes use it deliberately to make cool designs and patterns on your clothing. If you’re going for a kind of acid-wash look, do it haphazardly on your jeans. 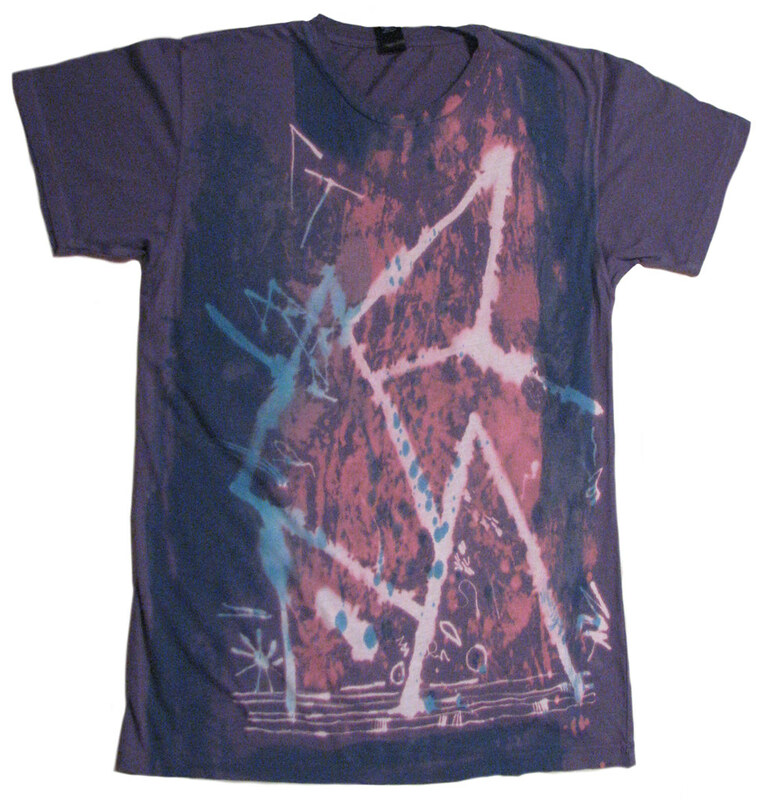 You could take the color out of a bottom half of a shirt or put a stencil down and draw around it in bleach pen. The possibilities are endless! 33. 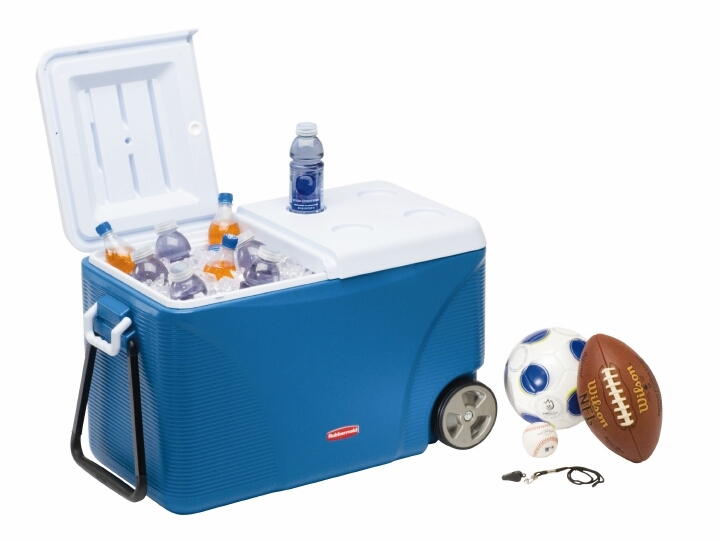 Take the odor out of an old cooler. No matter how often you clean out your coolers, they can still tend to develop some pretty funky smells over time. To avoid or fix this, try making a bleach solution and letting it soak in the cooler for a few hours. When you’re ready, blast it out with water and all those lingering smells should be gone. 34. Use a bleach bottle to make a homemade scoop. Because they’re made out of such sturdy material, bleach bottles can be repurposed in all kinds of ways. 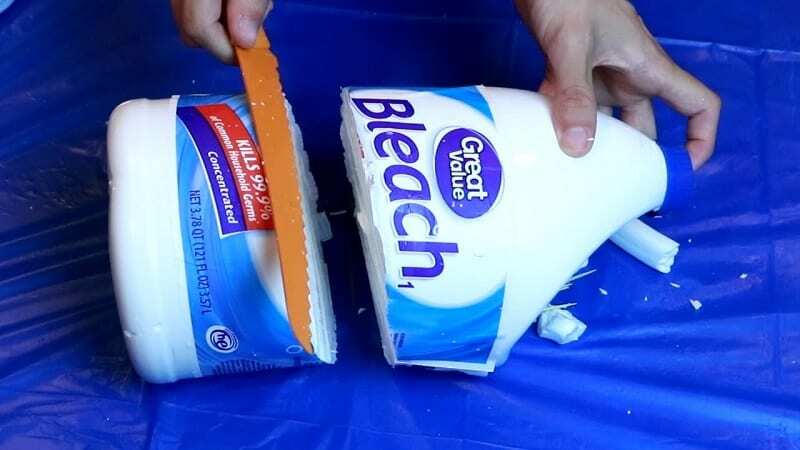 Make sure you have all the bleach cleaned out first before using a box cutter or other sharp knife to carve off the handle portion of the bottle, leaving a handle and a scoop behind. Use this for scooping out dog food, powdered laundry detergent or whatever else you can think of. 35. 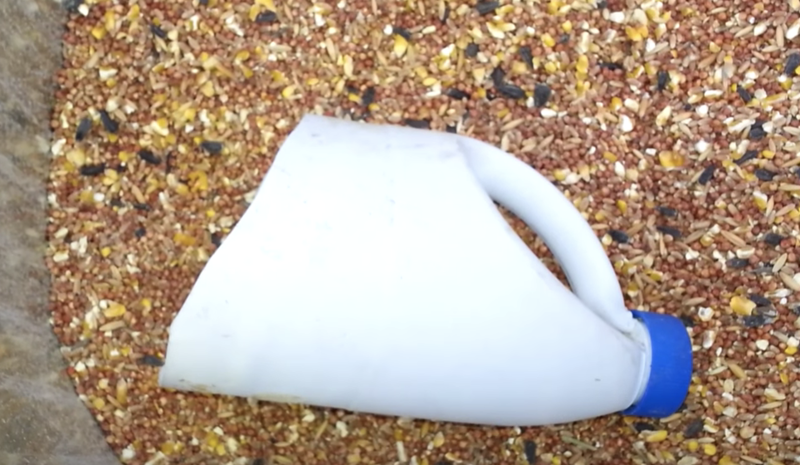 Use the end of a bleach bottle to make a megaphone. Ok, this one is a little bit silly… but it’s also pretty fun. Much like the tip above, all you have to do is cut the top half of a bleach bottle off so that the cap end is included. Once it’s thoroughly cleaned out, you can scream through the top of it to make a pretty effective megaphone. What you do with it we leave up to you. 36. 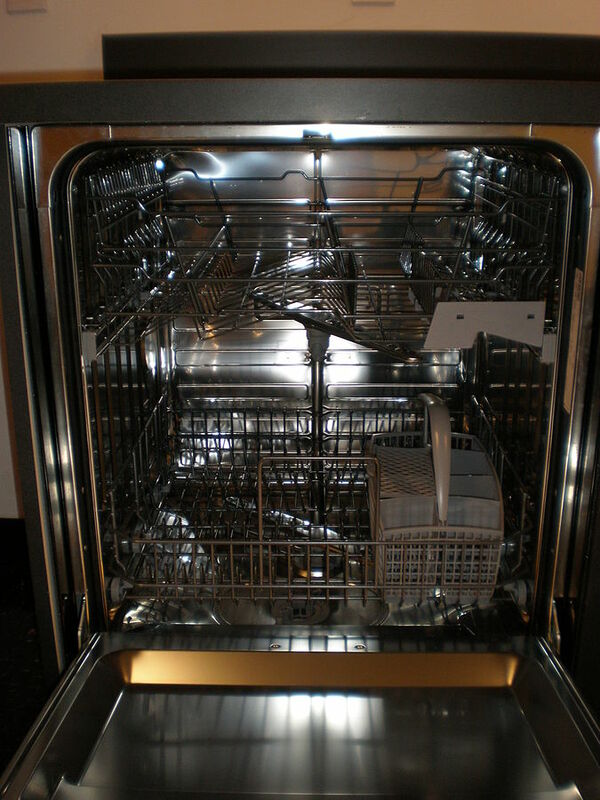 Use a little bleach in your dishwasher to brighten everything up. Though this tip might only be really useful if you have a lot of worn or tarnished dishes, you can always put just a little bit of bleach in your dishwasher to brighten everything up. Because bleach is such a strong chemical and you eat off of your dishes, we do recommend giving everything a good rinse before you use it again. 37. 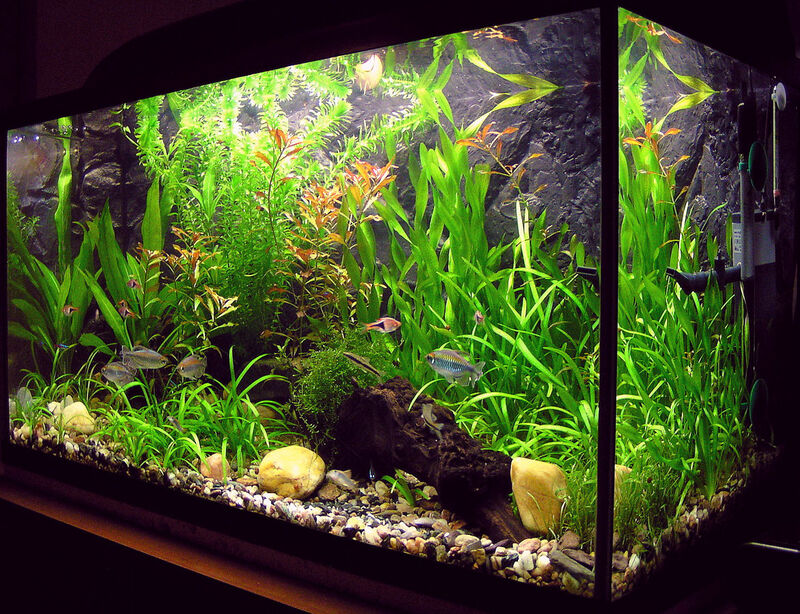 Use bleach to clean an aquarium. If you have an old aquarium you want to reuse (or you have one you’re using that just won’t get clean), why not try using some bleach to blast it out? Make sure to take out all your fish and plants and store them safely before using a bleach and water solution to scrub out the insides. With any luck, that caked on algae should be gone in no time. 38. Use bleach to shine up kitchen appliances. Much like some of the other items on this list, your kitchen appliances can get pretty grimy if you don’t stay on top them. 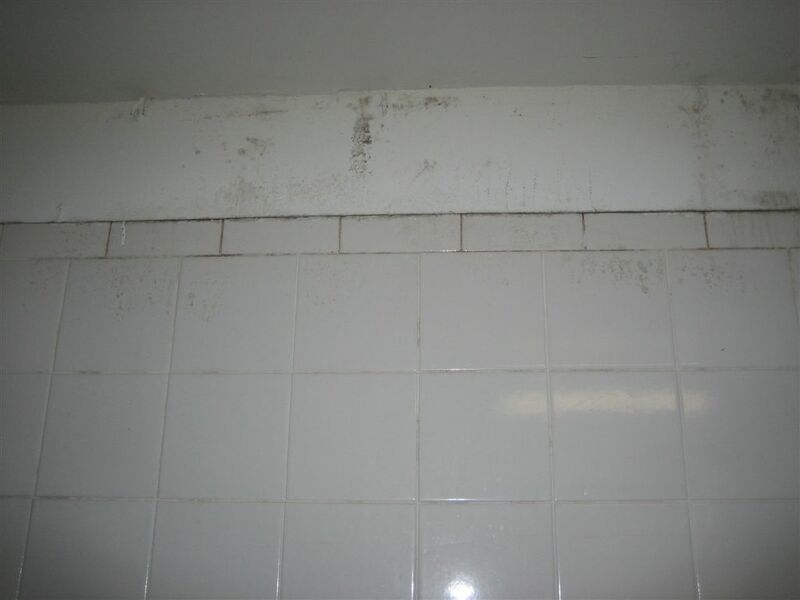 To combat this, try mixing a bleach and hot water solution and scrubbing down some of the problem areas. This trick should work on both metal and porcelain surfaces.